The very first Nielsen Twitter TV Ratings have been released for Australia, and they show Sport and Reality TV dominate social media discussion. Australia has become the third country in the world to have Nielsen Twitter TV Ratings, measuring the total activity (Tweets, Unique Authors) and reach (Impressions, Unique Audience) of TV-related conversation on Twitter. In results released for October, the NRL Grand Final dominated the Twitter platform, followed by V8 Supercars and finales for The Block, The Bachelor and The X Factor. In October, more than one million (1.2M) Tweets relating to TV programs were sent by Australians, generating 97.5 million impressions (total number of times Tweets were seen). Scott Gillham, Head of Nielsen Twitter TV Ratings in Australia, said: “Social media is transforming the way viewers engage with TV as audiences share comments and opinions about their favourite shows in real time. Interestingly, social media conversation is also helping to drive TV audiences and creating a stronger demand for catch-up TV. Being able to measure and evaluate TV programs by their social engagement allows networks to better understand audience reactions to their programming, while offering advertisers and agencies another element in evaluating where to place media-spend and the impact of those placements in driving earned media. 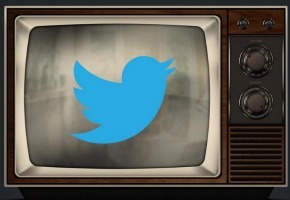 TEN is the first network to have signed on with Twitter TV ratings. In TV Tonight‘s sixth Audience Inventory 45% of readers say they partake in second screen platforms every day, with Twitter third in popularity behind Internet surfing and Facebook. Interesting that it has no mechanism for distinguishing positive engagement from people lamenting how terrible the show is (think what proportion of those Bachelor tweets would have been from non-viewers and/or related to events after the finale). “There’s no such thing as bad publicity” perhaps? @Pertinax – it doesn’t invalidate your point but you’ve buggered up your calc for the NRL and mis-typed the ratings number. 22,400 is 0.57% of 3,951,000. Still not a lot. c) the adage that a million monkeys bashing away at a million keyboards will eventually produce all the works of Shakespeare is clearly not true. Yep – the market will need to decide what Twitter numbers actually mean. Looking at that top 5 I think it means that the program is so boring, or has so much air time where nothing is happening, that people have time to Tweet. 1,900,000 people watched The X Factor Nationally. 0.46% of them tweeted about the episode. 112,000 people had tweets on their screen about it, but we don’t know how many read them, or how many of them were just tweets they didn’t care about posted by a friend, or friend of a friend. This was the 5th biggest TV twitter event of October. The biggest TV twitter event was the NRL GF watched by 3,591,000 people. 22,400 (0.0005.6%) of them Tweeted about it 3 hours before to 3 hours after the game. They posted an average of 3.3 Tweets and each Tweet was displayed on a screen an average of 112 times. Only 228,800 people in the whole nation saw a tweet about the NRL GF that day. And what does a Tweet appearing on a screen even mean? “Joe drinking a beer while mooning the TV #NRLGF” Moron delete.